We analyse what worked in favour of the 2012 Agneepath as compared to the 1990 original. When superstar Amitabh Bachchan's Agneepath released in theatres in 1990, it flopped at the box office. Years later, when Agneepath got remade and released in theatres, it got the best opening ever, and is well on its way to becoming a blockbuster. Trade analyst Taran Adarsh explains, "When the film released in 1990, Amitabh Bachchan's voice was very different. The audience thought that there was some technical problem and actually started walking out of theatres. 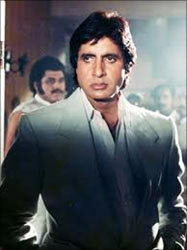 After the initial reactions, Bachchan dubbed for the film again but the damage had already been done." Media professional and industry observer Abhijit Mhamunkar adds that the film was very unconventional and ahead of its time. "People were not ready to accept Amitabh Bachchan in such an avatar," he says. Journalist Shaikh Ayaz compares both films: "The original Agneepath was a character-driven film, to such an extent that we only remember Amitabh Bachchan and his once-in-a-lifetime great performance. "The new Agneepath focuses on the plot and gives each character its due. For instance, the first half belongs to Rishi Kapoor, not Hrithik Roshan. On his part, Hrithik plays Vijay Dinanath Chavan differently -- he doesn't speak much, has a simmering anger and is boiling from within. Amitabh's pain could be seen while Hrithik's is hidden," he says. "What really clicked for the new film was its name, Agneepath," Taran Adarsh adds. "It has a tremendous recall value. Amitabh Bachchan's Agneepath may have flopped but it has achieved cult status over the years." The ensemble cast of the new film is another reason why it worked. "Amitabh Bachchan created magic when he played Vijay Dinanath Chavan," says Taran Adarsh, adding, "When Hrithik stepped into Bachchan's shoes to play Vijay, he did complete justice to the character." Besides Hrithik, Sanjay Dutt's Kancha Cheena and the introduction of Rishi Kapoor's character made the audience curious. Adarsh says "Rishi Kapoor's character took everyone by surprise. He was exceptional as Rauf Lala. Sanjay Dutt was mind-blowing too. His evil look in the promos had created a lot of anticipation amongst his fans." Mhamunkar agrees that it was the star cast that pulled the audience into cinema halls. "Everyone is talking about Rishi Kapoor's role in the film," he says. "Agneepath's power lies in director's vision and the scriptwriters. They did not let the film loss its original flavour." Mhamunkar also feels that it has been a while since audiences have seen a masala movie. "Don 2 released last month and did not attract a lot of audience," he says. "This month, we have seen very few big releases. Players opened to a lukewarm response. Agneepath came at the right time." The film's promotion was another vital factor that worked in its favour. 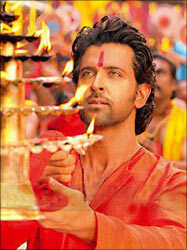 "The film was promoted as Agneepath, rather than a Hrithik Roshan film," Mhamunkar says. "The promos were popular, and the Chikni Chameli song, picturised on Katrina Kaif, added to the hype. The film is backed by Karan Johar, which automatically increases the anticipation amongst the audience." Which Agneepath movie was better? Vote now!